The MAKE UP FOR EVER Pro Sculpting Face Palette retails for $45US and $54CAN for 4 x 2.5g / 0.08oz or 10g/0.32oz total of product. The Maybelline FaceStudio Master Contour & Highlight V-Shape Duo Stick retails for $9.99US and $17.99CAN at Shoppers Drug Mart for 7g / 0.24oz of product. 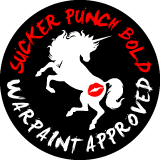 This post will contain separate reviews for both products and a Compare section to talk about the similarities. 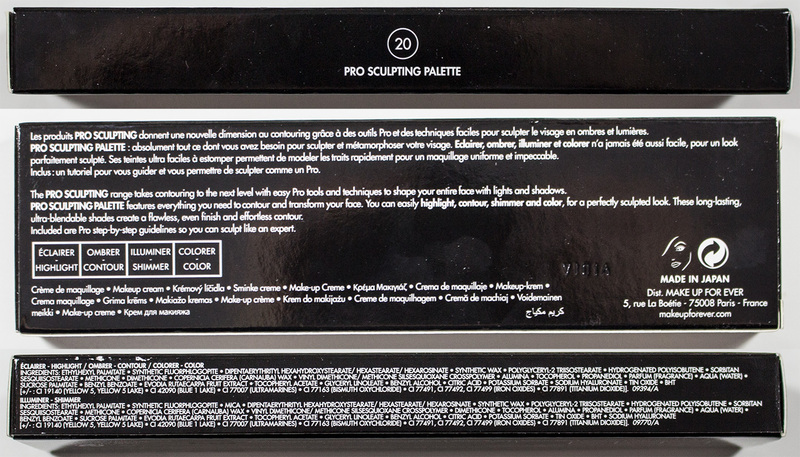 MAKE UP FOR EVER Pro Sculpting Face Palette in 20 - Light, box & Ingredients! The MAKE UP FOR EVER Pro Sculpting Face Palette in 20 - Light has 4 products in a wax-based cream formula that I found dried down and set on its own after blending it out. You definitely have time to blend this product out under 30 minites but it's compltly budge prroof on bare skin. This is the wax doing it's job. 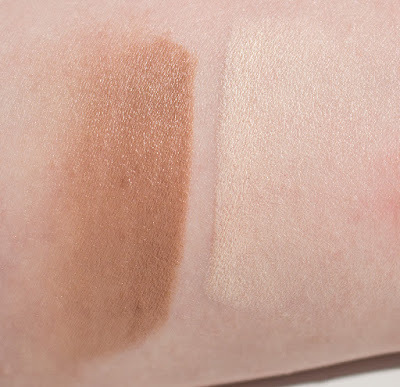 Pigmentationa wise it can be applied full coverage but I found it easier to blend out than most full coverage cream very naturally with little effort. I would call this formula a slighter version of Illamasqua Cream Pigments. Highlight is a pale off porcelain pink with a matte finish. Contour is a light taupe brown that leans slightly pink with a matte finish. Shimmer is a light pale gold shimmer in a clear base. 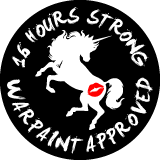 Wear: Lasy 16+ hours on bare skin without a need for touching up. 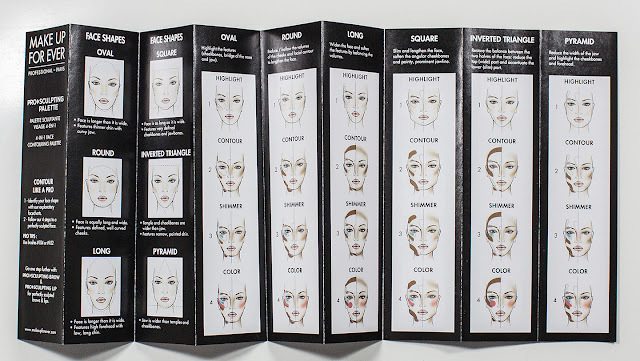 Daylight swatches: MAKE UP FOR EVER Pro Sculpting Face Palette in 20 - Light Highlight & Contour. Both applied heavy and sheered out. 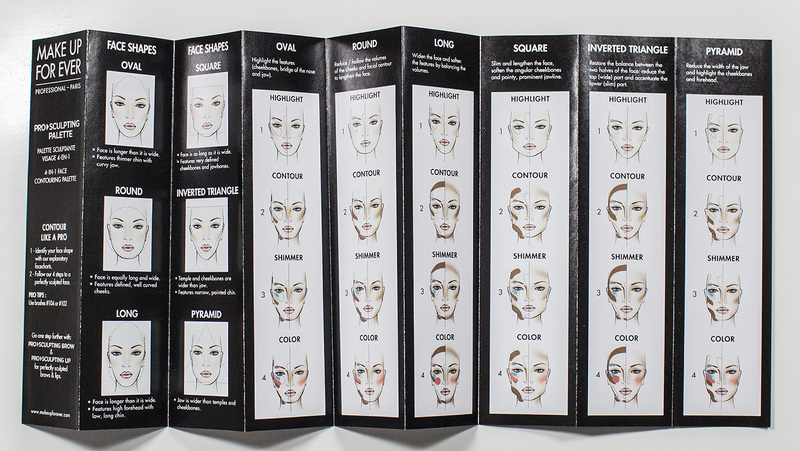 Flash swatches: MAKE UP FOR EVER Pro Sculpting Face Palette in 20 - Light Highlight & Contour. Both applied heavy and sheered out. 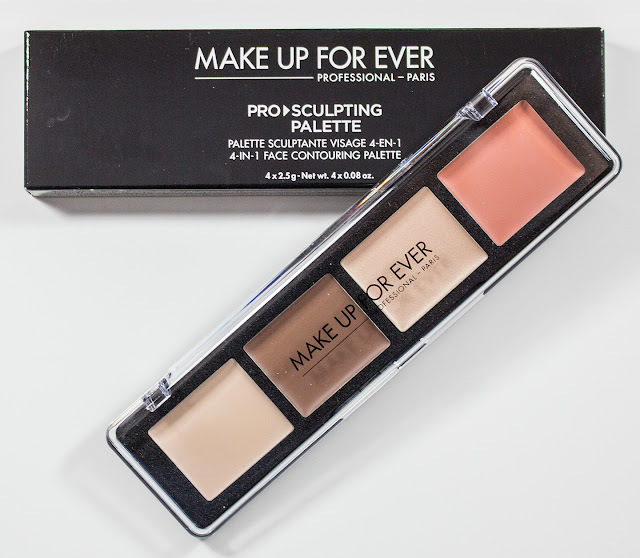 Daylight swatches: MAKE UP FOR EVER Pro Sculpting Face Palette in 20 - Light Shimmer & Color. Both applied heavy and sheered out. 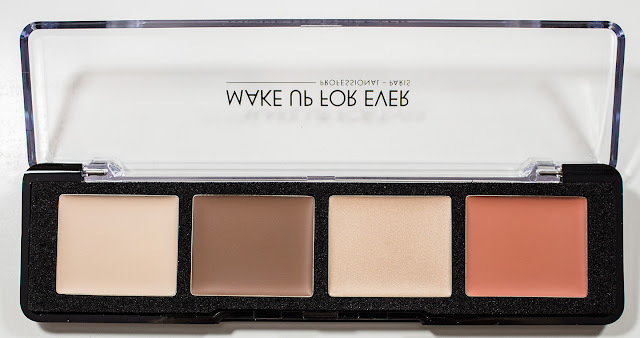 Flash swatches: MAKE UP FOR EVER Pro Sculpting Face Palette in 20 - Light Shimmer & Color. Both applied heavy and sheered out. Highlight is a pale off cream yellow with a matte finish. 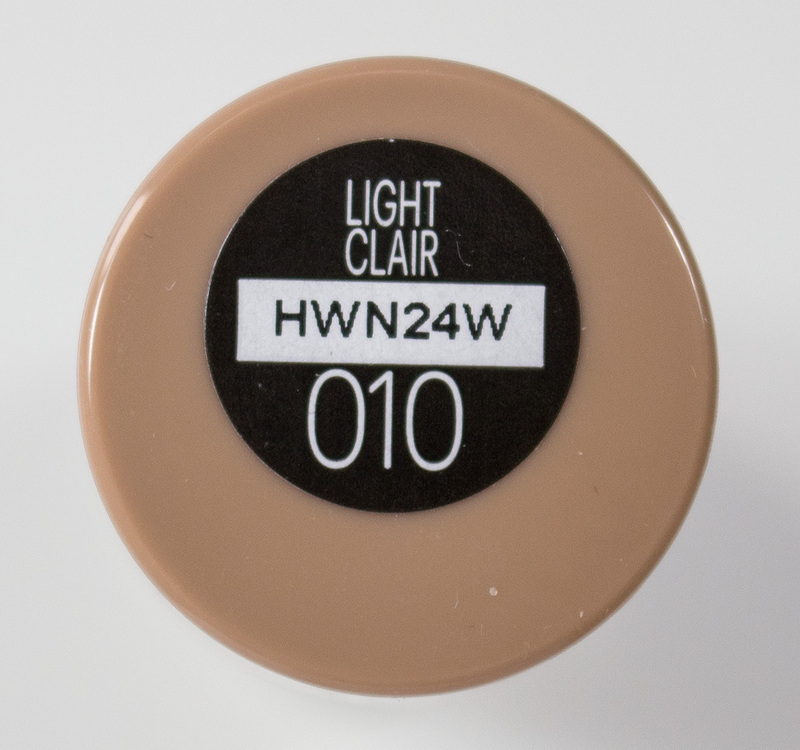 Contour is a light taupe brown with a matte finish. 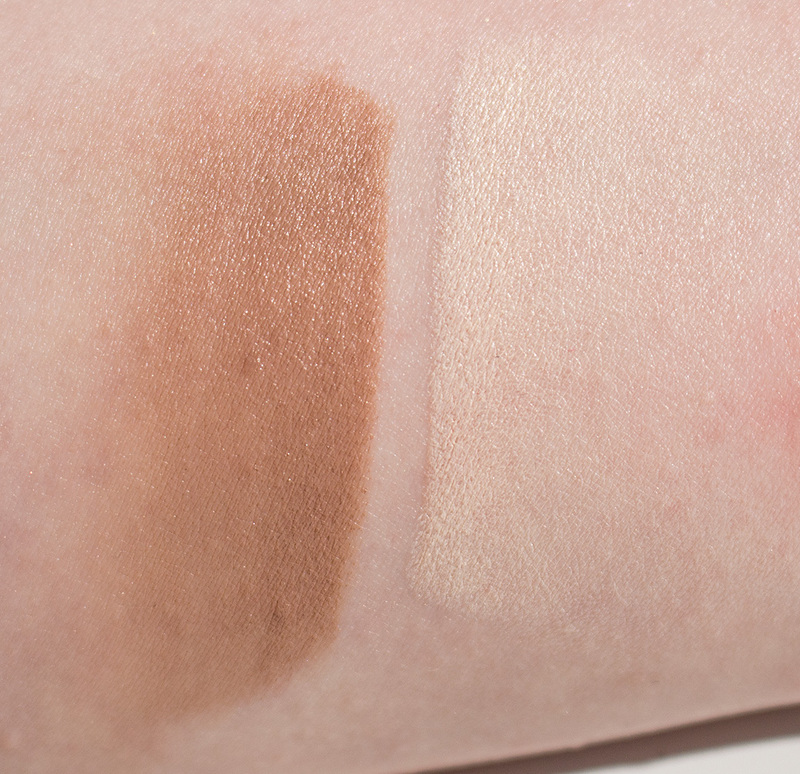 Wear: Both shades lastest 12 our without touch-up on bare skin. Last longer under of over foundation and with a setting powder. Packaging: Is a simple twist up crayon style packaging with a clear lid. The product seems evenly split down the middle. Daylight swatches: Maybelline FaceStudio Master Contour & Highlight V-Shape Duo Stick in Light Contour. apply heavy and sheer out to the left. 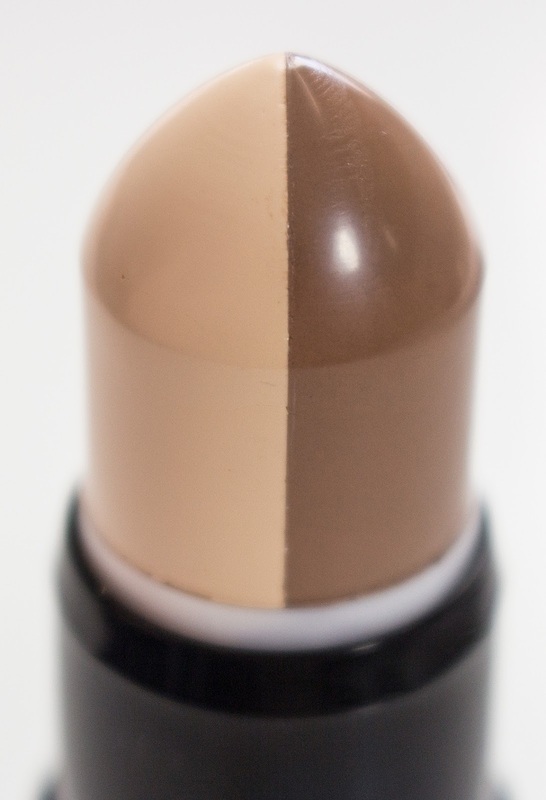 Maybelline FaceStudio Master Contour & Highlight V-Shape Duo Stick in Light Highlight. Apply heavy and sheer out to the right. 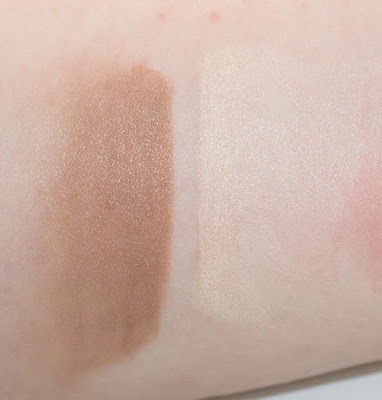 Flash swatches: Maybelline FaceStudio Master Contour & Highlight V-Shape Duo Stick in Light Contour. apply heavy and sheer out to the left. Daylight swatches: MUFR Pro Sculpting Face Palette in 20 - Light Contour and Maybelline FaceStudio Master Contour & Highlight V-Shape Duo Stick in Light Contour. Both apply heavy and sheer out to the left. Maybelline FaceStudio Master Contour & Highlight V-Shape Duo Stick in Light Highlight and MUFR Pro Sculpting Face Palette in 20 - Light Highlight. Both apply heavy and sheer out to the right. Flash swatches: MUFR Pro Sculpting Face Palette in 20 - Light Contour and Maybelline FaceStudio Master Contour & Highlight V-Shape Duo Stick in Light Contour. Both apply heavy and sheer out to the left. 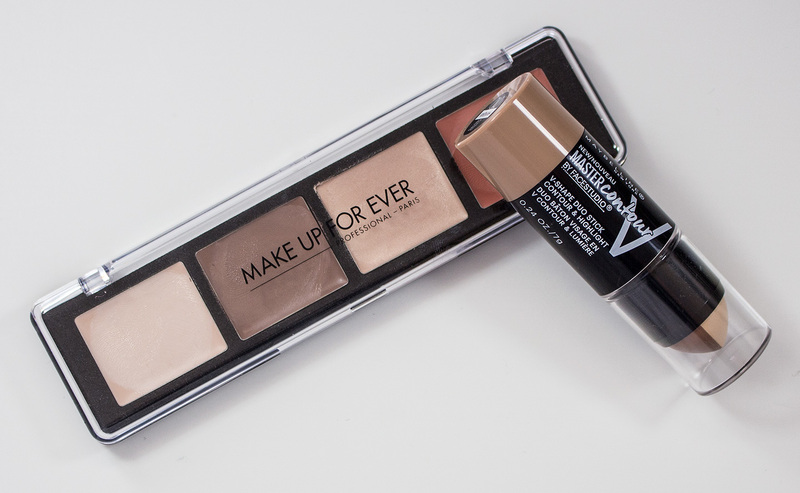 Compared to the MAKE UP FOR EVER Pro Sculpting Face Palette in 20 - Light Highlight , the Maybelline V-Shape Duo Stick in Light Highlight is a more yellow based off white and read slightly dark. Compared to the MAKE UP FOR EVER Pro Sculpting Face Palette in 20 - Light Contour, the Maybelline V-Shape Duo Stick in Light Contour is a light taupe brown that leans slightly pink with a matte finish is touch slightly warmer/orange in comparison.